You’ve seen those Instagram photos and I know it’s high up on your bucket list: the Norwegian fjords. I mean, who doesn’t want to cruise through Geirangerfjord, drive up Trollstigen’s eleven hairpin turns, and get those epic shots on Trolltunga, Preikestolen, and Kjeragbolten? The problem is, if you’re planning on coming during the summer (which also happens to be when most of Norway’s famous hikes are open), Norway doesn’t want you. I’m not sure if it’s been as big news abroad, but here in Norway we’ve been hearing a lot about how overwhelmed the fjord region was by tourists last summer. And they’re blaming Frozen! Actually, judging from all the emails I’ve been getting lately from people asking if the fjords and big Norway tourist spots are really going to be too crowded this summer, and then what the best places to visit in Norway now are, I guess the news about Norway tourism troubles has made it abroad too. So I’m going to try to address the issue, and give you the best advice I have. 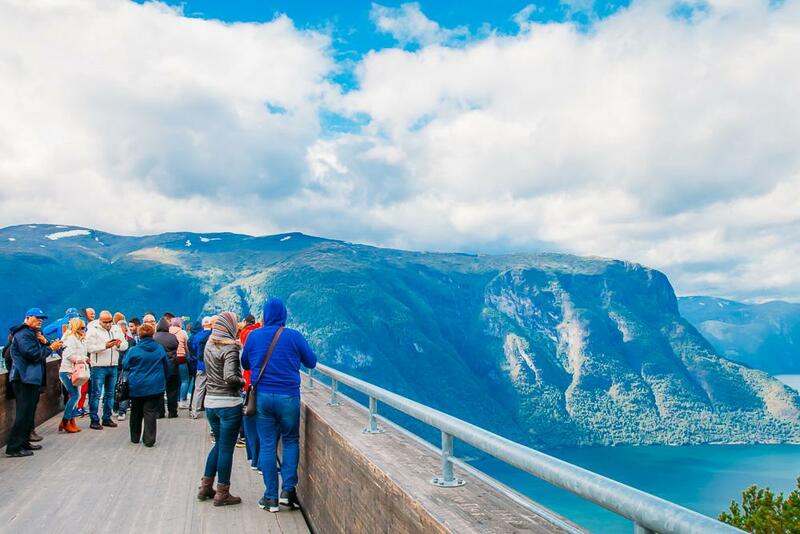 It’s true, Norway is jacking up hotel prices, pulling back on marketing, and basically trying to make the fjords look as unappealing to tourists as possible. Lol, good luck with that one. In fact, in January when I visited MATKA, the biggest travel fair in Northern Europe, there wasn’t a single Norwegian travel stand to be seen. It was almost eery. I have a friend who works in Flåm, the final stop of the famous railway journey that branches off from the Bergen line to Aurlandsfjorden, and he told me he’s dreading the summer. Like, he used the words “worst thing ever” when describing summer in Norway in the fjord region. Plus, in December Norway and China restored diplomatic and political ties, after being frozen since 2010 when Chinese dissident Liu Xiaobo was awarded the Nobel Peace Prize. With relations restored, Norway is now expecting a huge influx of Chinese visitors this summer. And to be honest, even when I visited the fjords in September last year they were kind of uncomfortably crowded, so I can’t imagine what they will be like during peak season this year. The thing is, Norwegians really like their peace and quiet. I mean, this is an enormous country with only a few million inhabitants – they’re used to having their space. That on top of the fact that Norway is wealthy enough not to really need the extra income from tourism makes it understandable that a lot of Norwegians aren’t super happy about all the visitors each summer, especially when those visitors are randomly wandering through their yards to take photos. 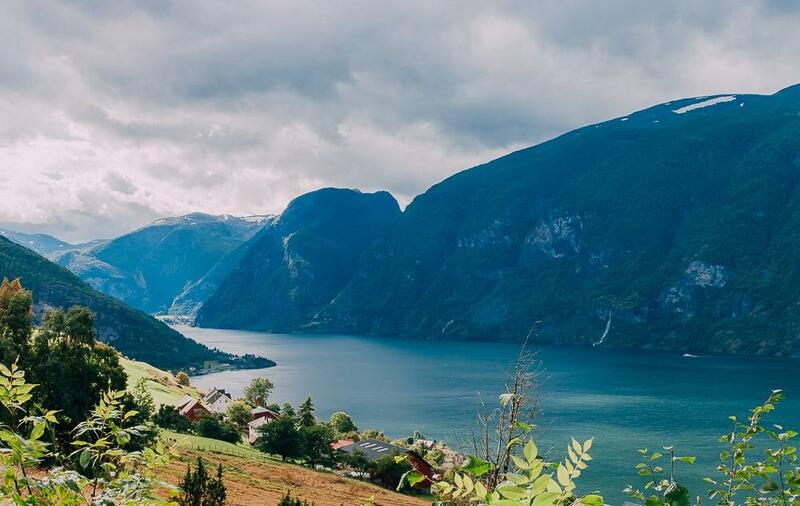 The answer, of course, is to visit the fjords outside of the summer months (particularly July and the first half of August) – they’re gorgeous in the spring and autumn, and even in the winter. But I also get that some people – especially students and parents of schoolchildren – can only really travel to Norway in the summer. So what to do? Basically, I would avoid Norway’s biggest tourist attractions in the summer, opting either for lesser-known destinations in Norway or other Norway-esque places outside of Norway. 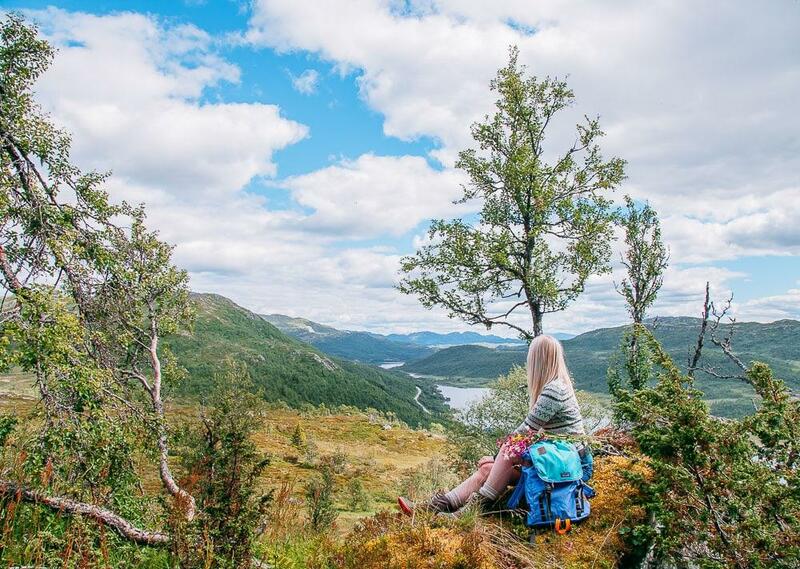 Luckily for you, a lot of the most beautiful places in Norway are actually relatively unknown, and even in the peak Norway tourism times of July and August these places are basically empty. Norway is an enormous country, and most tourist only ever visit a few places. So don’t worry, I will help you figure out where to visit in Norway for the best experience, away from all the tourist crowds. And I’ve also put together a huge list of unique things to do in Norway, which I keep adding to as local Norwegians give me more tips. I think officially it’s Fjord Norway saying that they’re overwhelmed by tourists now, so it’s probably best not to spend too much time in Bergen, Ålesund, Geiranger, Odda, or even Stavanger in the summer if you don’t want to be paying crazy high prices to hang out with crowds of tourists. Of course, you don’t need to avoid these places altogether, but at least be aware that they’ll be extra crowded and expensive, and maybe try to schedule in some time outside of these tourist hubs as well. The same goes for Norway’s two most popular hikes, Preikestolen (Pulpit Rock) and Trolltunga (Troll Tongue). Both are getting so crowded that you’ll actually find yourself waiting in line while trying to hike them in the summer, but what’s worse is that because of their popularity a lot of people overlook how difficult these hikes actually are. There have now been so many accidents and even deaths on Preikestolen and Trolltunga that a lot of Norwegians are calling to limit the number of hikers on these trails, or even ban them altogether. And if I’m being honest, these hikes have pretty much zero appeal to me in the summer anyway. Why hike with a crowd when there are countless other hikes in Norway that are totally empty year-round? I really just don’t think they’re worth it. Instead, I actually recommend getting a guide to take to on a more remote tour. I know joining a tour or having a get sounds like a more touristy thing to do, but actually in Norway the opposite tends to be the case. People traveling or hiking independently stick to the famous hikes they hear about online, whereas if you get a local to show you around you’ll discover some truly hidden gems. Viator and GetYourGuide are both great for the more standard tours and activities, but if you want a more unique experience, check out these adventure tours and activities (I’m still dying to take a helicopter ride here someday, and some of the longer tour options take you waaay into the wilderness). The thing is, there are so many beautiful places in Norway that people never hear about. In fact just about everywhere in Norway is gorgeous and worth the trip here for. And yet it can be hard to find the best places to visit in Norway outside of the obvious tourist choices, I think partly because financially Norway doesn’t need to market these places for tourism, but maybe even more so because locals don’t want their favorite places to get crowded with tourists. Like, I’ve actually found a lot of Norwegians to be really secretive about their favorite spots here! And so I’m afraid I can’t tell you any of the nicest off the beaten path places to travel to in Norway in the summer, sorry. Lol just kidding – though part of me does almost feel nervous to share these Norwegian secrets. Rjukan is perfect for shorter trips from Oslo, with a fascinating WWII history and what I think is Norway’s most beautiful mountain: Gaustatoppen. Rjukan has recently made huge efforts to expand parking areas, so this is one of the few places in Norway that is actively trying to draw in more visitors. So like, you will actually be really welcome here! 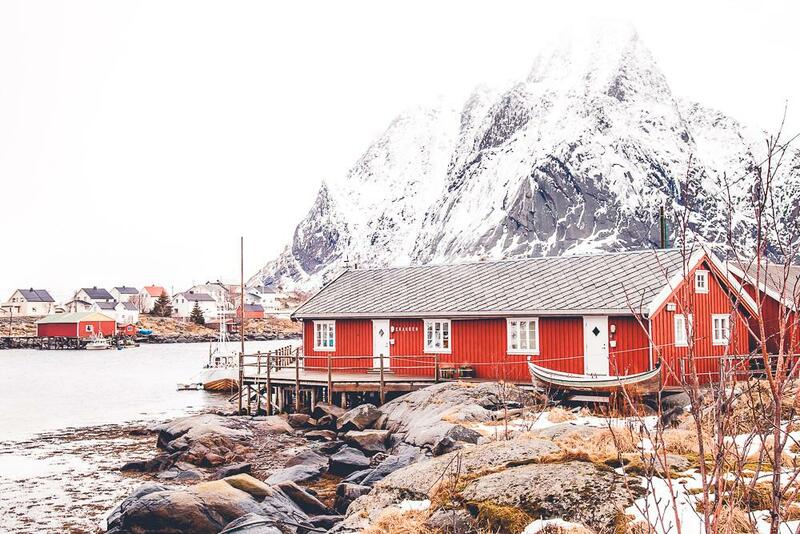 There are quite a few Airbnb options as well, like this idyllic cabin, this charming apartment, or this charming apartment. And if this is your first time using Airbnb you can get a discount by signing up here. For more information about things to do, read my full guide to Rjukan. I’ve also included Rjukan in my three one week Norway itineraries. I only found out about this place because Dan’s assistant manager lent us his summer cottage here last autumn (so I really hope he doesn’t read this and get mad that I shared it!). 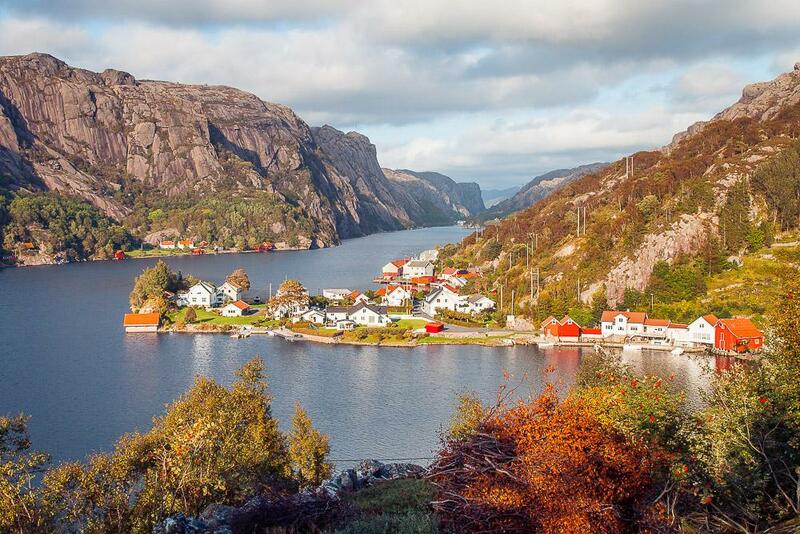 It’s near Flekkefjord and has one of the most stunning views I have ever seen in Norway. Here you can also hike up Brufjell, which is famous for Ice Age potholes that look out over the sea, or relax by the beach. While I don’t think Dan’s assistant manager would want to open up his cottage to visitors, you can look on Airbnb for different places around Åna-Sira, like this charming home or this holiday cottage. For more information about Brufjell and Åna-Sira, you can read my full guide to the area here. Mandal is Norway’s southernmost town and while it’s not exactly a hidden gem, it’s nowhere near as crowded as the fjords in the summer. 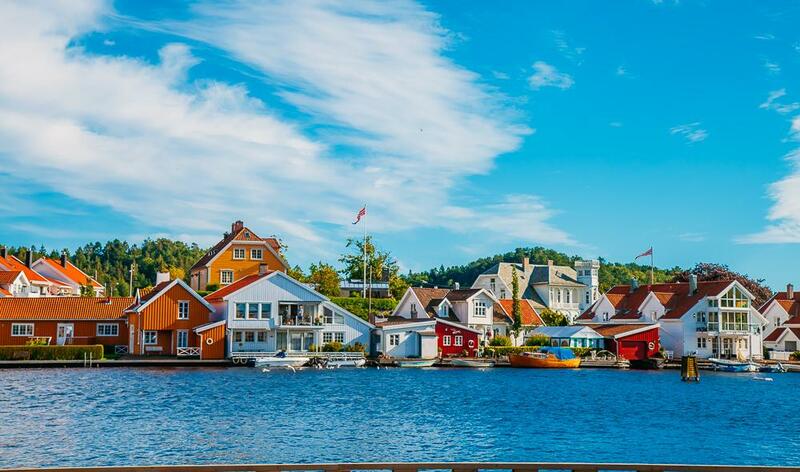 The town itself has colorful wooden houses along the water and a cute little center with cobblestone streets, and outside of town, you’ll find an 800 meter-long beach, Sjøsanden. If you can brave the cold waters you can go swimming! It’s about a 40-minute drive from Kristiansand and 2 hours and 45 minutes from Stavanger, so quite easily accessible. If Mones Feriesenter is booked up, try one of the many Airbnbs in the area, like this cozy loft, this basement apartment, or this treetop cabin. If you really want to be on the fjords I’d recommend staying in a village nearby Ålesund, Geiranger, and Trollstigen, but also not too close to any of them. Definitely avoid Geiranger itself, as it’s crammed with hotels and only really offers views of cruise ships and tourist buses. And if you want some more choices, I’ve written about more places to stay on Geirangerfjord here, as well as where to stay on Sognefjord here. I only learned about Folldal when a friend in Trondheim invited Dan and me to visit his family’s cabin there, but it has some of the most spectacular mountain scenery I’ve seen in Norway. There are also quite a few Airbnbs around Folldal, like this cabin, this charming guesthouse, or this B&B on a farm with horses. And nearby Folldal is a place you might have heard of: the Snøhetta viewpoint! 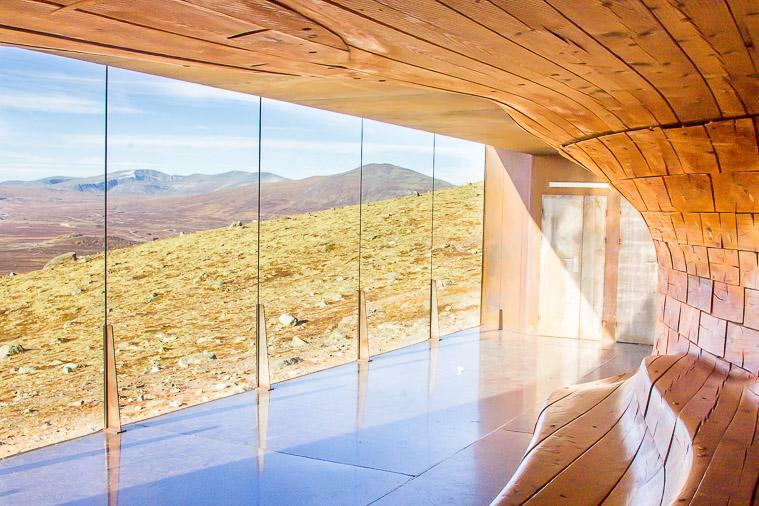 The building has won loads of international awards and offers views out over Dovre-Sunndalsfjella National Park, and the chance to spot muskoxen! The nice thing about Hjerkinn is that it’s actually on the train line, just two hours from Trondheim, so you could even visit here without a car. 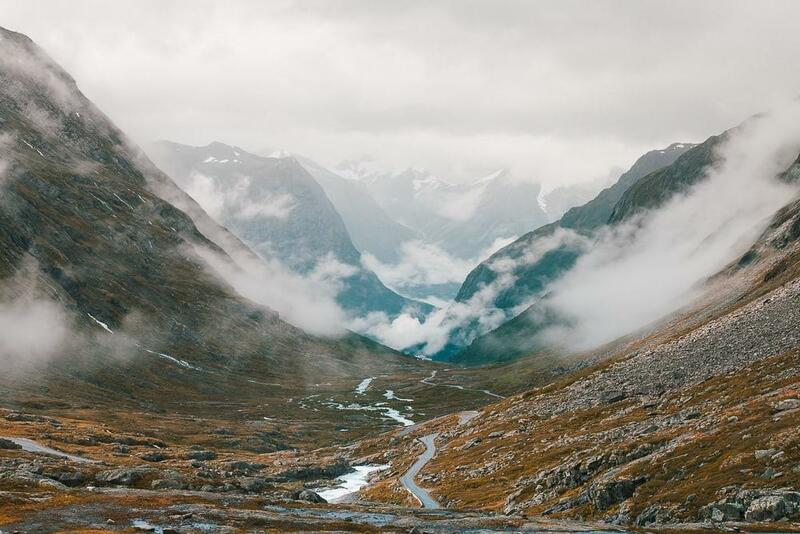 Plus it happens to be one of the driest places in Norway, making it a perfect destination for some longer hikes as you won’t have to worry as much about rain as you do on the coast. 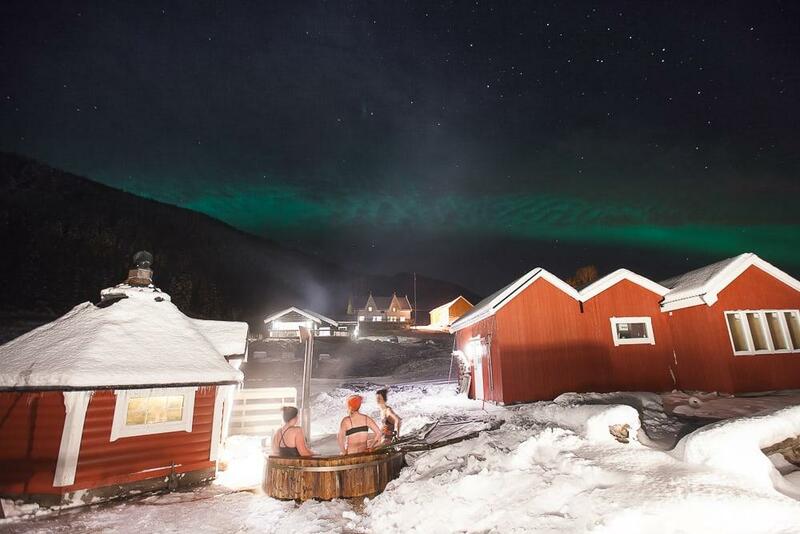 I’d recommend staying at either the Furuhaugli Tourist Cabins or Hjerkinn Fjellstue. 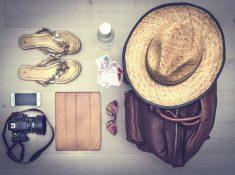 I can’t not mention my beloved home on this list! And since I live here I can confirm that Rauland is surprisingly empty during the summer months – our biggest tourist season is in the winter and Easter. If you do visit Rauland, I highly recommend getting the ferry to Mogen and hiking into Hardangervidda National Park. 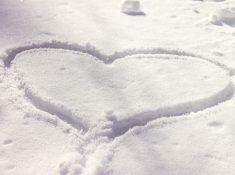 Just be sure to bring warm clothes – at over 1,000 meters the summer temperatures can be chilly! I do love staying in cabins in the mountains, but in Rauland I would actually recommend staying at the Rauland Mountain Hotel. I’m a little biased because my grandparents worked there when they were young (it’s actually where they first met!) but it really is such a special place. Jean-Paul Sartre and Simone de Beauvoir even visited once! 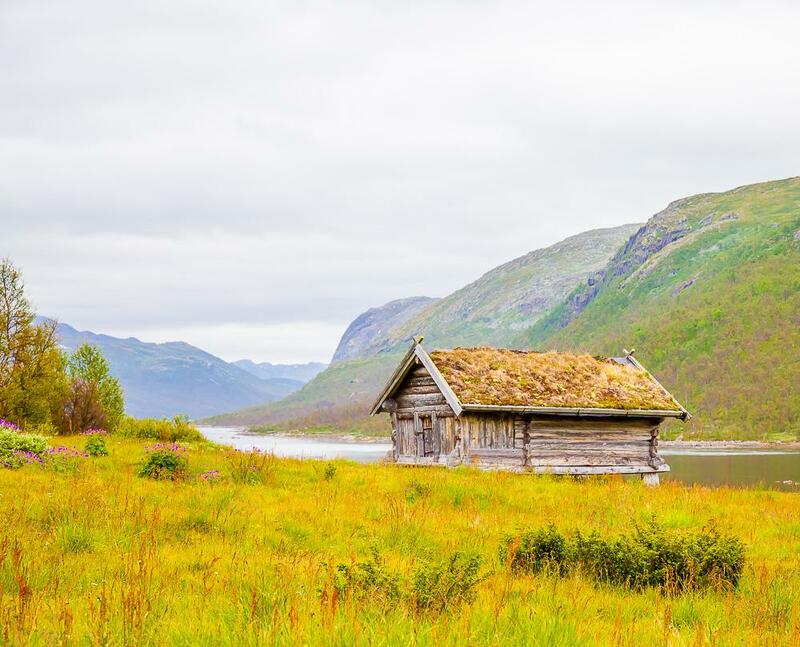 If the Rauland Mountain hotel is booked, you can also look around at different options on Airbnb, like this grass roof cabin, this tiny home from 1825, or this cozy apartment. summer in Norway doesn’t always mean crowds! This is my mother’s favorite place in Norway. Founded in 1644, Røros is one of the oldest towns of wooden buildings in Europe and is a UNESCO World Heritage Site. 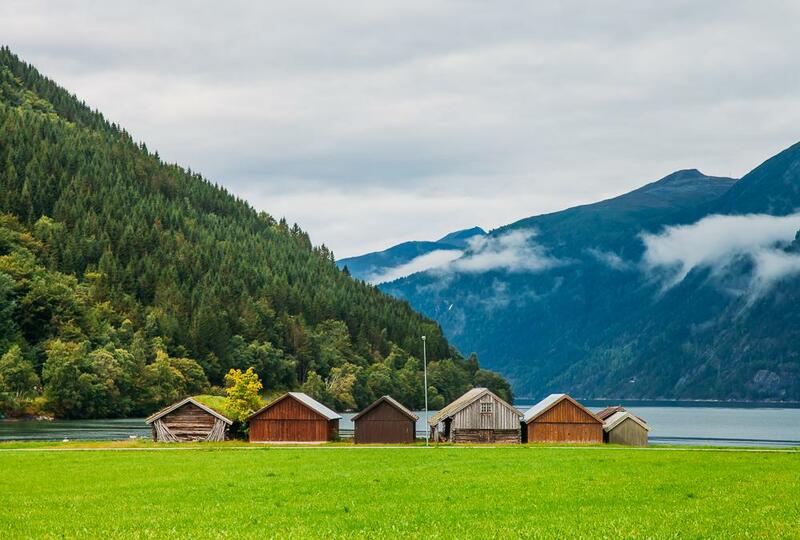 This old mining town is definitely on the tourist path, but it’s far enough inland that it still doesn’t get as many visitors as the stops along the fjord cruise route. And it’s on the train line, so you won’t need a car to get here! You could also look at the options on Airbnb, like this tiny room in the heart of the city, this spacious guesthouse, or this bright apartment in the Flanderborg. Now that Lofoten has become so flooded with tourists it’s better to visit the nearby islands of Senja and Vesterålen instead, as they have similarly spectacular views but are less crowded than Lofoten. Vesterålen has less dramatic peaks than Lofoten, but it’s so empty and quiet, whereas Senja sees more tourists but has an equally dramatic landscape to Lofoten. And if you want to get off the path in Senja, just head to the south of the island and stay at a little cabin (or the lighthouse!) at Norwegian Wild, or go to the nearby island of Dyrøy for a truly special experience. You can read more about Senja here and Dyrøy here. On Vesterålen you could stay at the Thon Hotel in Andenes to be at the center of everything, but if you have a car then I HIGHLY recommend staying at this amazing cabin on Airbnb – I’ll even go so far as to say that it’s one of the best Airbnbs I’ve stayed at in my life! Speaking of Senja, I’m actually going to go ahead and put all of Northern Norway on this list. 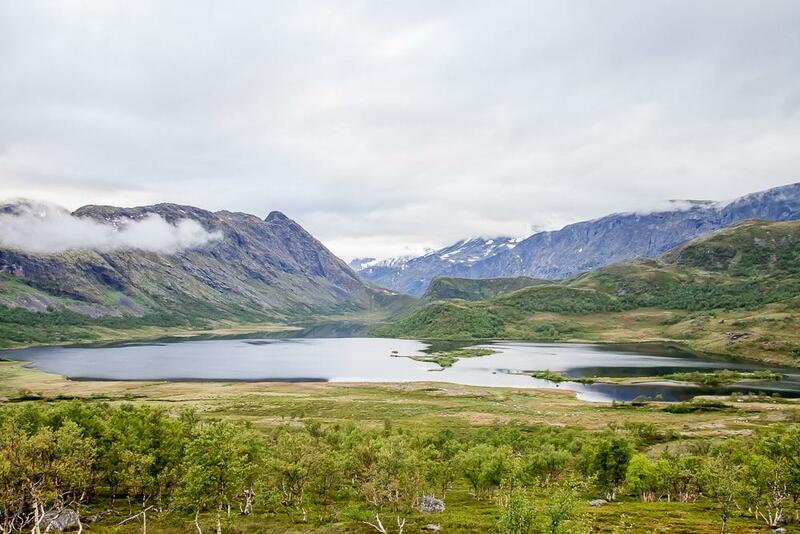 While Lofoten and Tromsø do fill up with tons of tourists in the summer, for the most part, you’ll see far fewer people in the north than in Southern Norway. Though I should probably add, if you’re looking for sunny, warm summer weather, the north might not be for you. But if you just pretend that it’s autumn and expect some rain and cold days you’ll be fine. Northerners are also known for being way more friendly than Southerners, and I’ve had a lot of people tell me that they were put off by how cold or even rude Norwegians are, so maybe the north is a better choice for visitors? Though in Norwegians’ defense, they probably don’t actually mean to be cold or rude, they’re just being Norwegian. Northern Norway is definitely the region of Norway I’m most excited about exploring, and I think it has so many hidden gems. 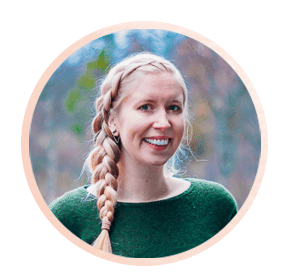 I especially love the Lyngen Alps and Helgeland, which might just be home to the friendliest people in all of Norway, and I would really love to drive the Varanger National Tourist Route someday. In fact, I love the North of Norway so much that I’ve made it my home in Norway! I’ve now settled down in Mosjøen, a town in Helgeland, and I honestly believe this region is Norway’s most beautiful hidden gem. You can find my two-week road trip itinerary for Northern Norway here, included stops in Helgeland and the Lyngen Alps. In general, it seems that if you actually go deeper into a national park instead of just stopping by the edge you’ll quickly find yourself all alone. And Norway has some amazing national parks to explore! 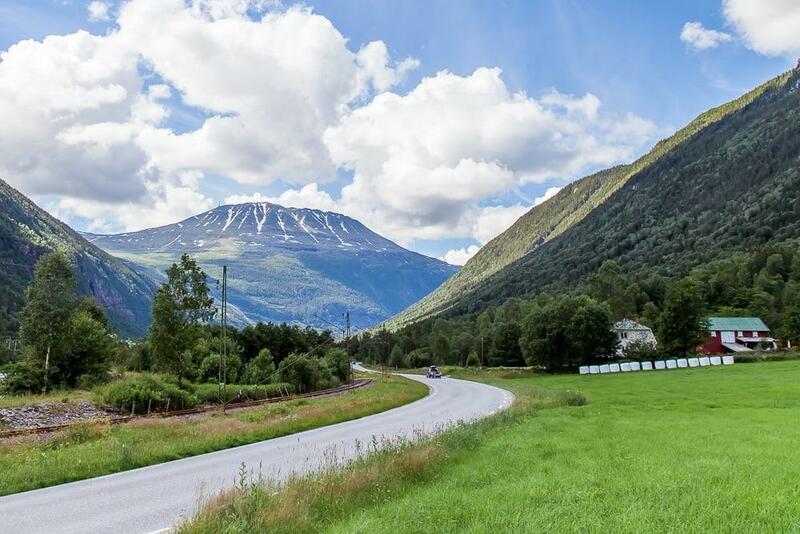 My very best advice for getting off the beaten path in Norway is actually to just rent a car and drive! I’m doing this all the time here in Northern Norway, and from personal experience, I can say that Ålesund also makes an excellent starting point. 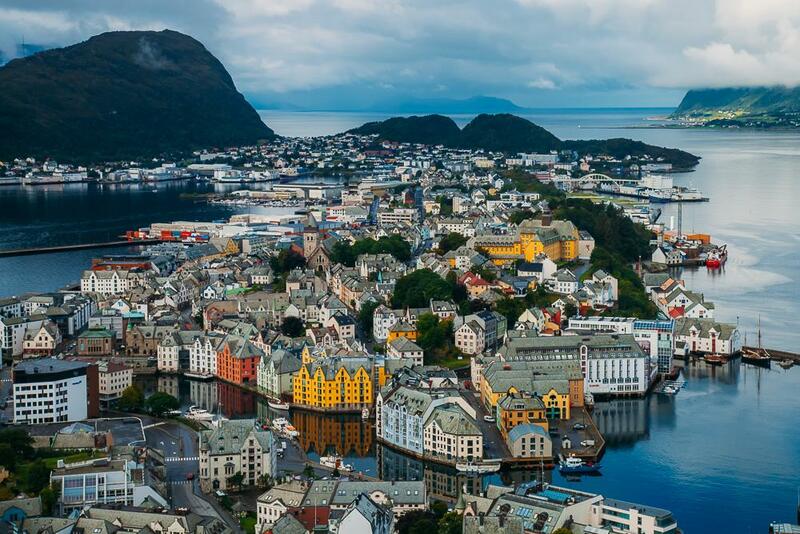 You could fly into Ålesund and rent a car from there. Norway is expensive (though perhaps not as expensive as you think?) and while I think the views are worth the price tag, I have to admit that it is possible to see similar scenery other places in the world. This maybe sounds totally random, but I actually often recommend Montenegro to people who write to me saying they want to visit Norway but don’t have the budget for it. The landscape, of course, isn’t exactly like Norway’s but it does evoke that same feeling of “how can nature be so beautiful? 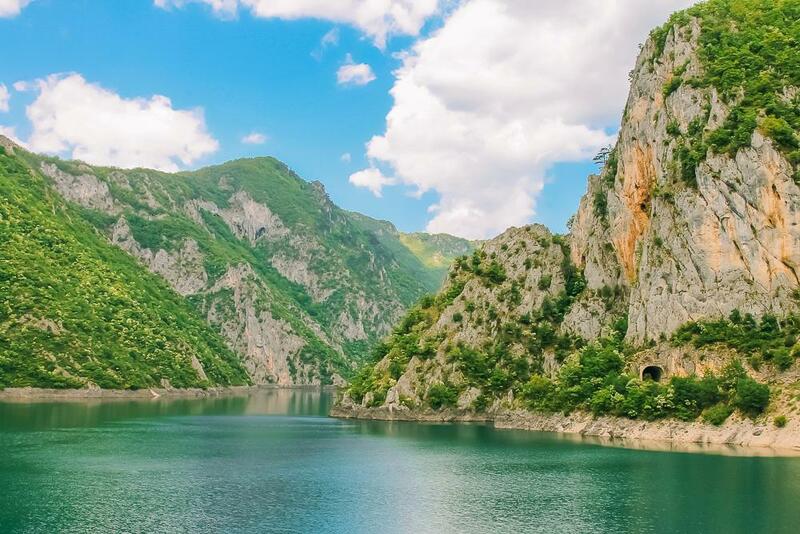 ?” From tall mountain peaks to Europe’s southernmost fjord, Montenegro has a lot of the same appeal as Norway, except with fewer tourists, cheaper prices, and warmer weather. 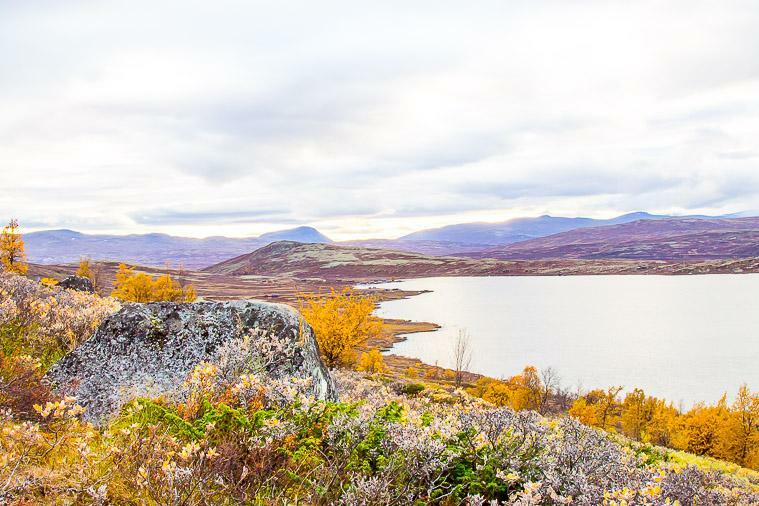 You don’t need to go to Northern Norway to see the midnight sun or experience Sami culture – you’ll find it in northern Sweden and Finland as well! 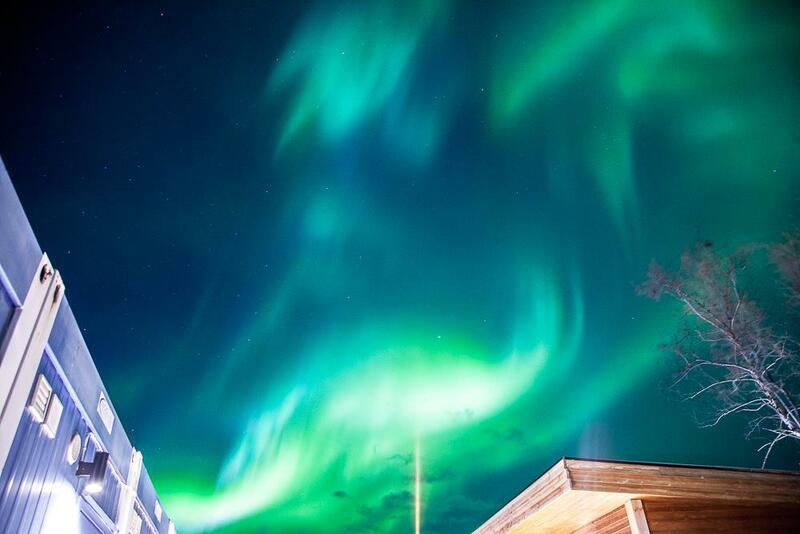 The same goes for the Northern Lights in the winter, as you’ll have a way better chance of seeing them in Abisko, Sweden than anywhere in Norway. To be honest, I would be just as happy visiting the islands and coast along southwestern Sweden as visiting southern Norway, and they’ll be a lot cheaper (shh don’t tell Norway I said that though!). 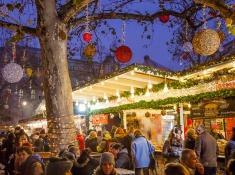 And have you been to Gothenburg yet? It is the COOLEST. If you want a unique twist on Norwegian culture, why not visit Shetland? Norway has some stunning scenery, but the Faroe Islands might just have Norway beat in the looks department. 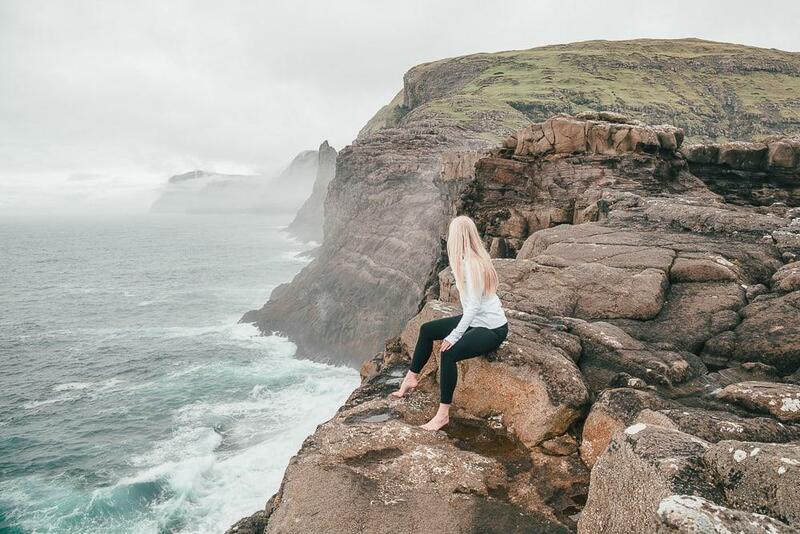 You can read my guide to planning a Faroe Islands itinerary here. I’m mostly putting this on the list because I really want to go myself. Anyone want to go with me? Yes? Okay, maybe New Zealand isn’t the most practical destination for a lot of people, but it sure is lovely! Dan has lived in both New Zealand and Norway and often comments on how similar (though also totally different) they are. A small population and stunning scenery are two key things they have in common, which also happen to be my two favorite things about Norway. 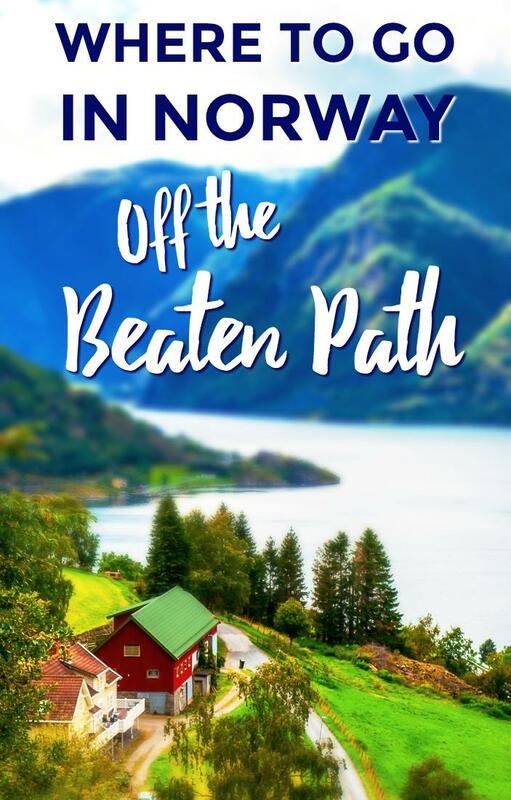 Anyone have any other off the beaten path places in Norway or outside of Norway to add? Please share in the comments! What a great post! We spent 3 months in Norway in a small town near a biggerish town called Gjovik. It was quite central and a bit like Wisconsin, but just a little bit a way were amazing lakes and then further north some of the best parks I’ve seen. I loved your videos AND especially the tips on places that are LIKE Norway. We are planning on hitting Montenegro later this year and this just seals the deal. 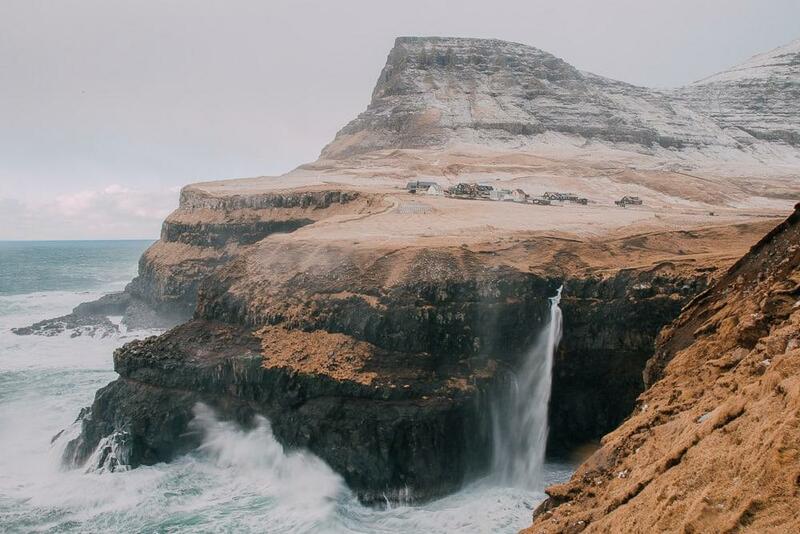 We already booked Faroe for August, and will be bookmarking your site for sure for both places! Hi Silvia, regarding the crowdedness of the most visited places, was the situation in the summer of 2018, or expected in the summer of 2019, better, equal or even worse than in this blog you wrote two years ago? Do you know, or have a feeling for the situation? It would be really useful to hear your view on this, probably for other readers too! It has gotten more crowded each year, so I expect 2019 will also be crowded. 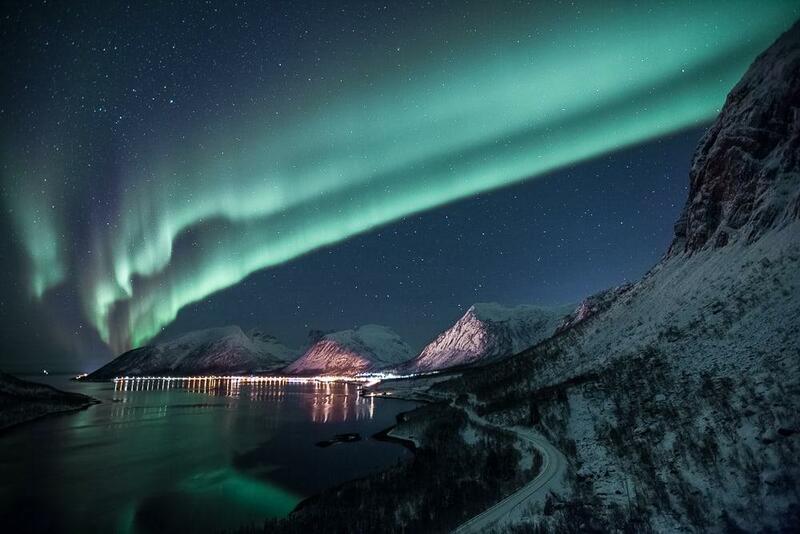 If you’re planning a trip to a top site in Norway in July I wouldn’t worry about it too much, just be aware that there will be crowds, and mostly make sure you book your accommodation WAY in advance. This is really the biggest issue, because all of the hotels and accommodation do completely sell out in those areas in July. Thanks for the great information all across your website! Based on your info, we are planning a week out of Alesund– staying at Hjelle Hotel and another place in Saebo (which was recommended and seemed quieter). We will do 2 days in Alesund. We would really love to hike a bit and get away from the “Instagram zombies” who seem to just focus on getting the same selfie that everyone else has in the exact same place (bleh). We will be there in mid-June. Do you have any recommendations for fun day trips in and around Hjelle/Alesund that get us into nature and away from crowds? Any info on fishing? I am an avid fly fisherman and wouldn’t mind trying my luck on a mountain stream… Thanks again for the great blog and website. Since I have travelled a lot in New Zealand, I’ll offer my own suggestion for two, amazing and out of the way trips and experiences– first, the city of Whanganui and a canoe trip down the Whanganui river. The city is amazing and off the beaten path of the usual tourists. Second, the Rough and Tumble Lodge on the West Coast of the S. Island. Even better, hike or bike the Old Ghost Road trail (3-4 days) and finish at this lodge. We have stayed there multiple times and it is a true kiwi, west coast experience in the middle of the rainforest.